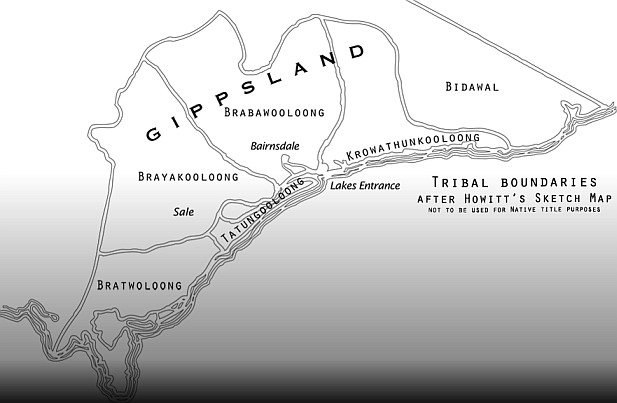 The Gunaikurnai people of East Gippsland invite you to visit the sites along the Bataluk Cultural Trail. 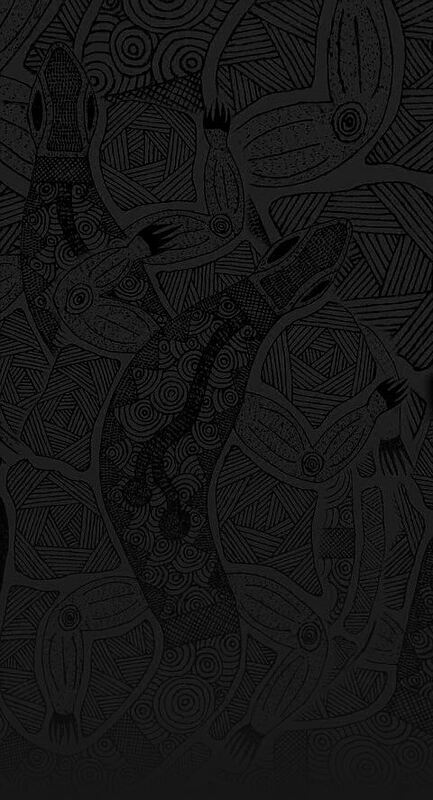 Borun and Tuk, the Pelican and Musk Duck are the creators of the Gunaikurnai people. 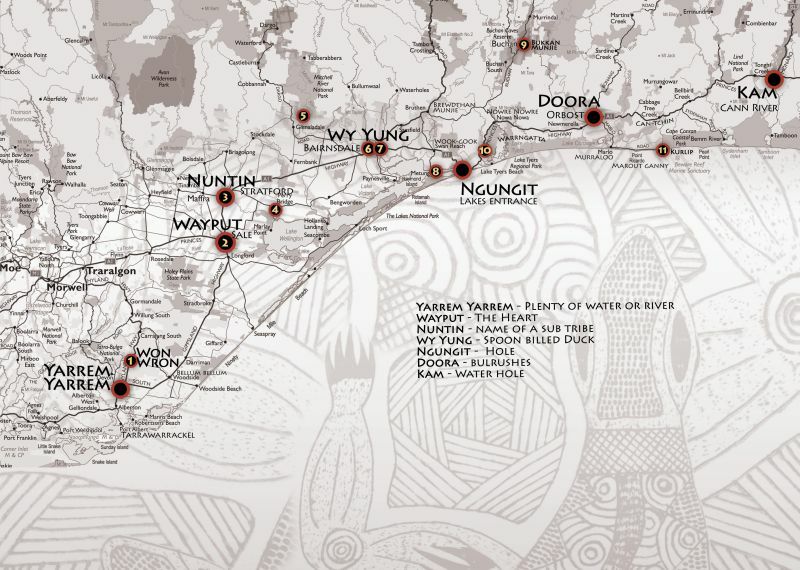 The Bataluk Cultural Trail follows significant traditional routes used by the Gunaikurnai for over 30,000 years. With the mountains a two or three day walk to the north and the lakes and ocean one or two days walk to the south, the path which is now the South Gippsland and Princes Highways formed the backbone of the network of trails and trading routes which spanned the region. 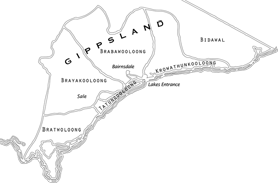 Initiation rites for young Gunaikurnai men and women in East Gippsland in the past consisted of a progression through several stages. Initiation ceremonies were major events attended by all clans. Ceremonies would last for five days and entrance to a higher tier of knowledge and understanding was only granted when participants had reached an appropriate level of commitment and readiness. Your journey along the Bataluk Cultural Trail will involve a similar process. The trail can be experienced in a variety of ways; you can travel from one end to the other, or you can select from the range of sites and activities to design a route, which suits your own particular interests. 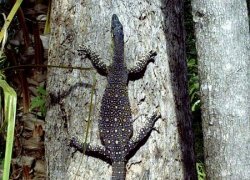 The Bataluk Cultural Trail will introduce you to many aspects of Gunaikurnai life. 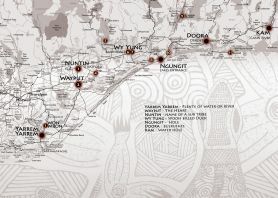 The more time you spend and the more places along the trail you are able to visit, the greater your appreciation and understanding of Gunaikurnai culture and heritage in East Gippsland. For a variety of reasons such as environmental or historical sensitivity, some sites in the region are not appropriate for unrestricted access by members of the general public. We ask that you treat all sites along the trail with respect and care, to ensure that they are preserved for future generations. This video is an excerpt from the DVD - "Guide to useful Koorie plants of East Gippsland" which can be purchased from the Krowathunkooloong Keeping Place, Bairnsdale.